So now I just want to freeze time. It is so amazingly beautiful out today. It’s that lovely mid-seventies springtime weather that is my absolute favorite and unfortunately, typically lasts for just a few weeks before the hot, sweaty, smelly summer rolls in to NYC. Adam is out of town on a shoot this weekend, so I’m enjoying a girly weekend with my dear friend Faye – a friend since childhood. Faye is a little over five months pregnant, which is a total trip for me! She’s got her cute bulgy belly and everything. I keep freaking out every time I look at her (in a good way)! I’m enjoying feeding her while she’s here. I think my future kitchen-to-be is inspiring me to get my cook on! Last night I made turkey burgers, roasted asparagus and a salad. This morning I made egg sandwiches and I just made her one of my new favorite snacks that I make for myself all the time for lunch. I had it in a restaurant and decided it was easy enough to re-create at home. Toast the piece of bread in the toaster. While it’s toasting, cut the lemon in half, shave some thin slices of Parmigiano Reggiano cheese and slice the avocado open. When the bread is toasted, put it on a plate, drizzle it with a little bit of olive oil and sprinkle with a little sea salt. Then scoop out 1/4 of the avocado and spread it on the bread. Squeeze fresh lemon juice on top of the avocado and then add the shaved Parmigiano Reggiano cheese. Sprinkle a tad more olive oil on top and add one or two twists of the pepper mill! Voila! A super easy, tasty, snack that is nice and filling. It also has fiber (bread & avocado), protein (cheese) and good fats (avocado and the olive oil). PS – I took the above photo walking around in the west village. 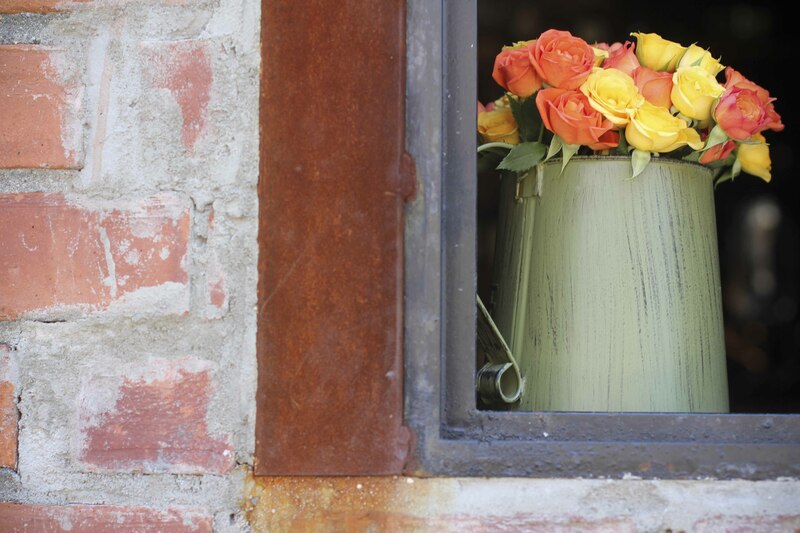 It totally feels European to me – the faded green watering can, the bright flowers, the open window with no screen. Charming isn’t it? Have a wonderful weekend!!!! enjoy Spring! !